from the June 3 issue of FamiMaga. 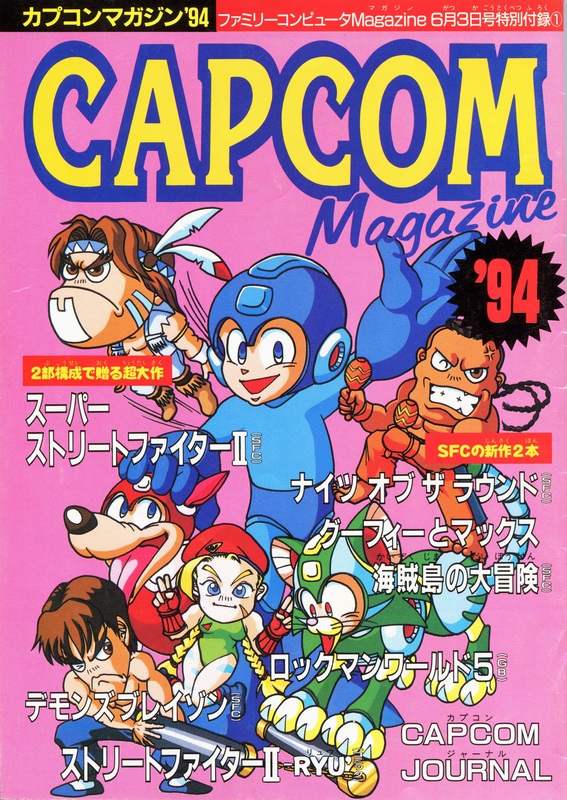 Gaze upon the cover for Capcom Magazine ’94: Mega Man, Rush and Tango hang out with chibi versions of the four New Challengers from Super Street Fighter II. Somehow this little piece didn’t make it into R20 or SF20 art books, though I enjoy it quite a bit–especially the part with Tango and Fei Long playing with nun-chucks. 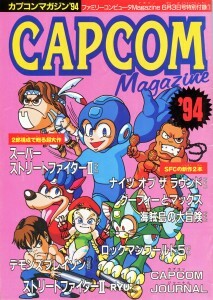 This magazine (along with several other books) should someday be added to the Source, if I can manage to find the will power to update it again. It’s just that the page has gotten so…. long-winded, you know? It’s cumbersome and unwieldy. Maybe it should be broken up into multiple pages… but that would amount to even more work to do, so you know that’s not going to happen. Or at least, not in a timely fashion. 2 Comments to "Dee Jay may be available to dance on a robot cat at your next party." Based in Mega Man and Rush’s face, this is a Inafune work? Seems likely, but of course it isn’t signed or credited so it could be a really good copycat. Maybe someone at one of the cons he visits can cask Inafune, see if he remembers. 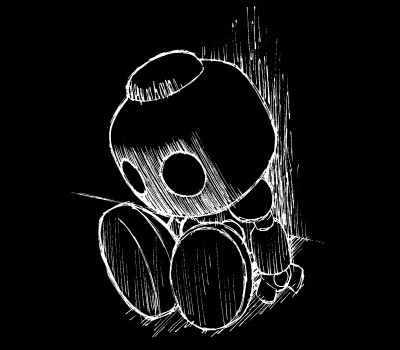 « New Leader of the X-Hunters?